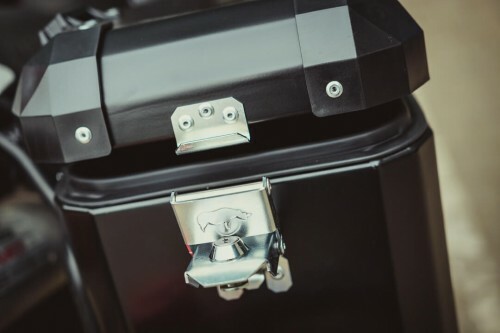 Made of 2 mm high grade aluminium alloy with 14 bending lines to ensure a high strength of the final structure, while maintaining a good balance between sturdiness and weight. 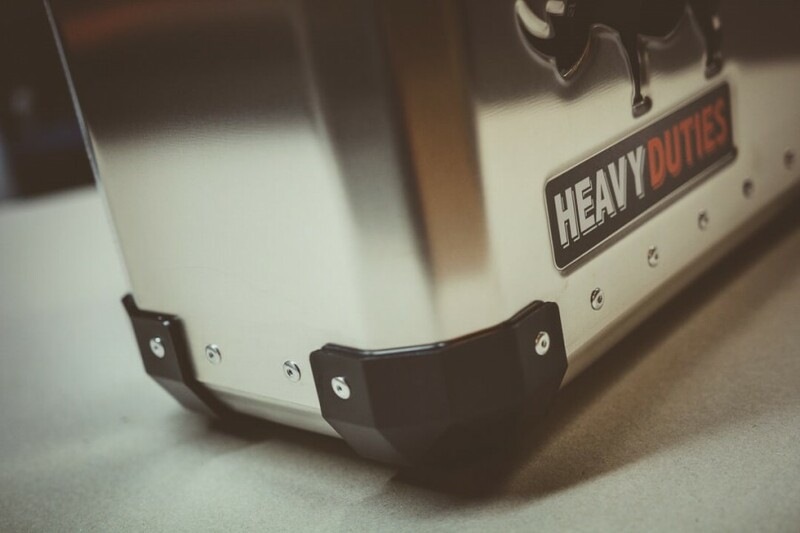 Innovative deep drawn lid and bottom. 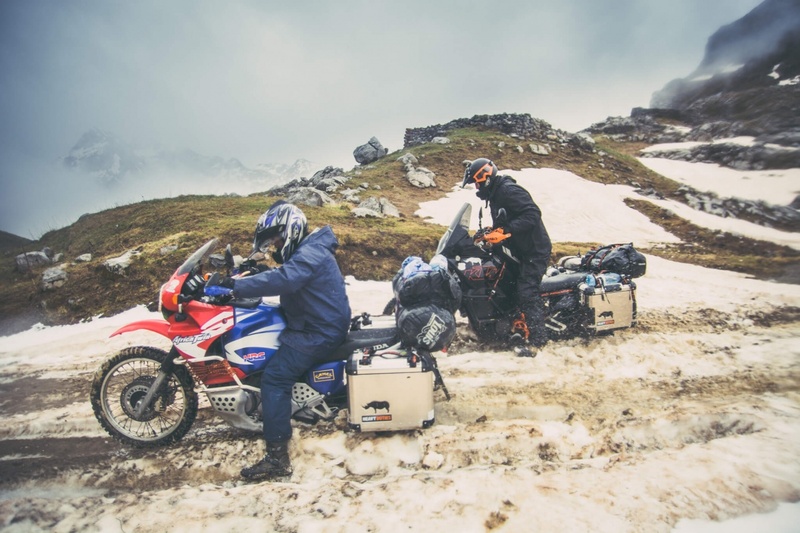 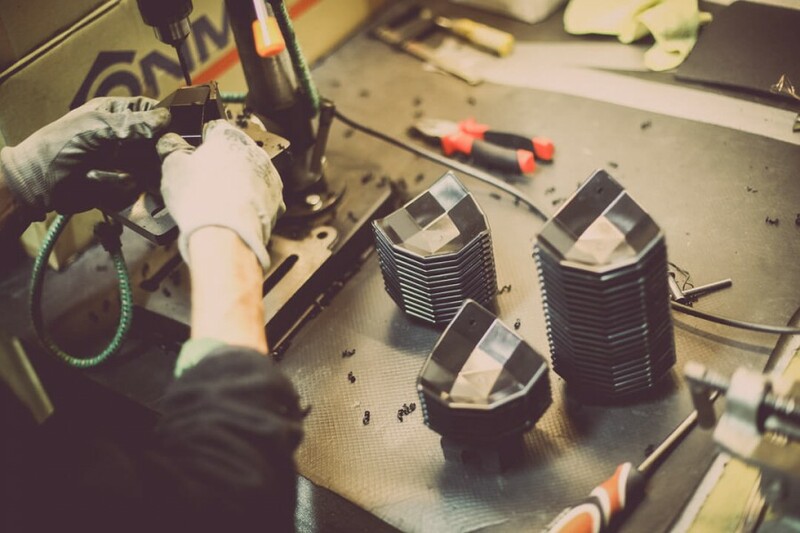 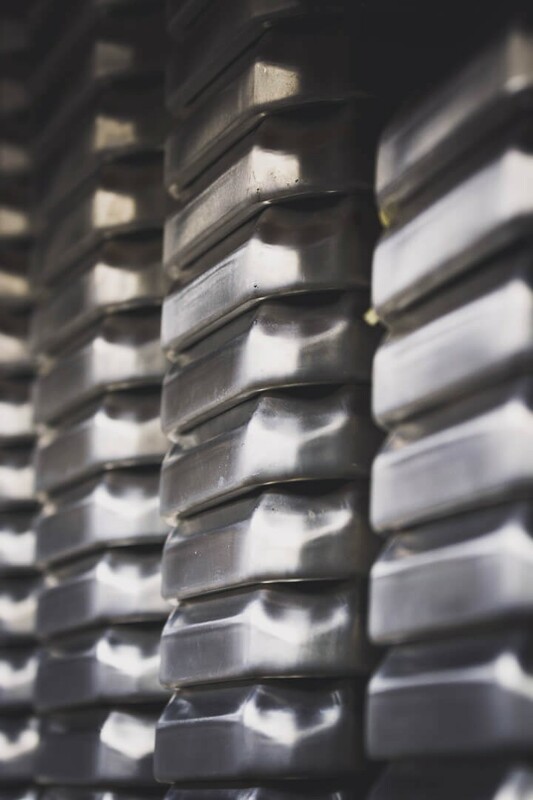 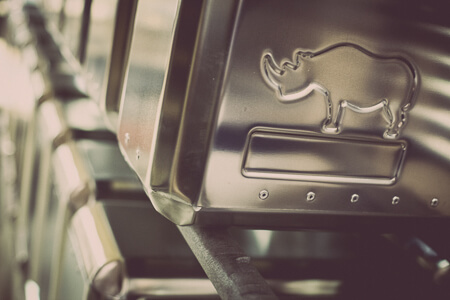 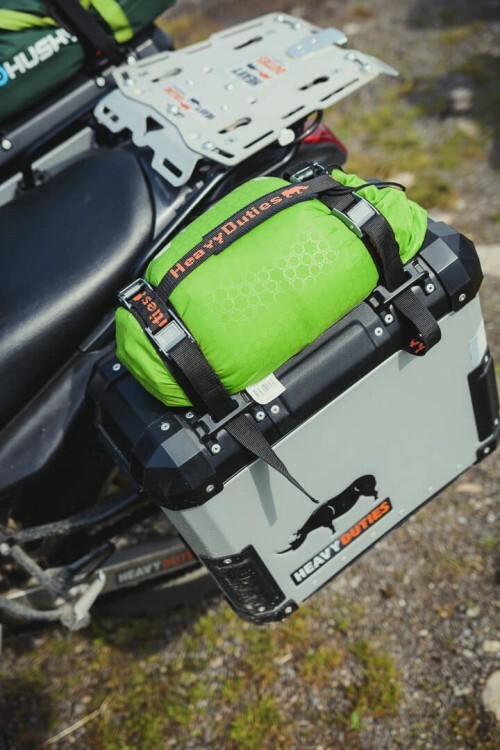 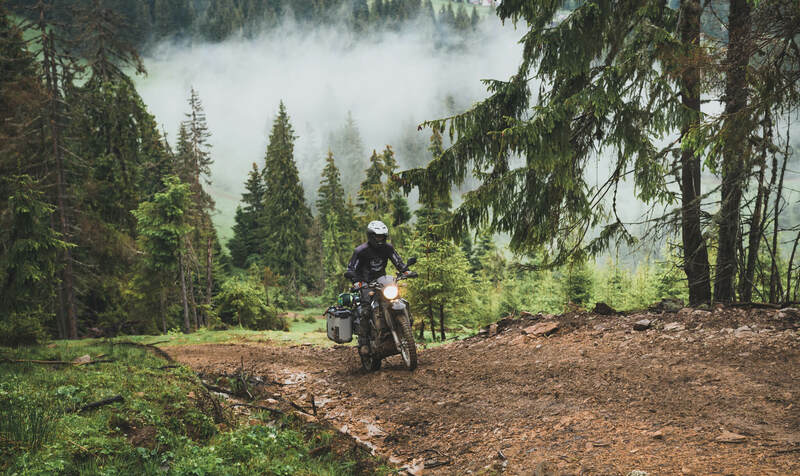 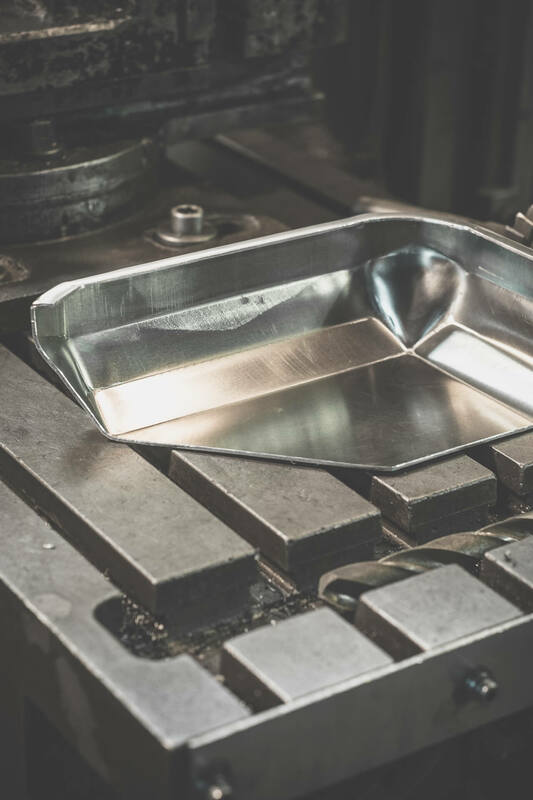 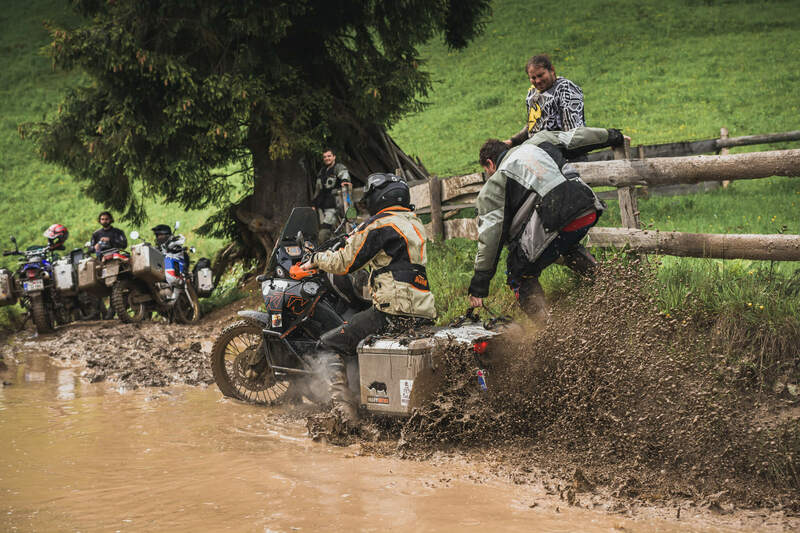 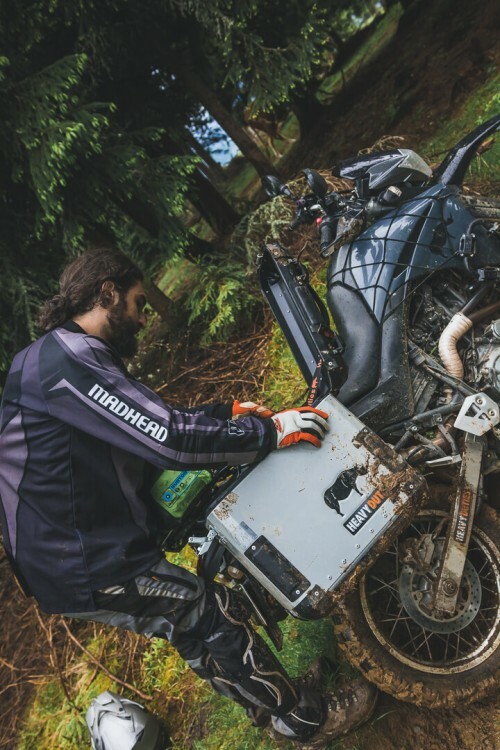 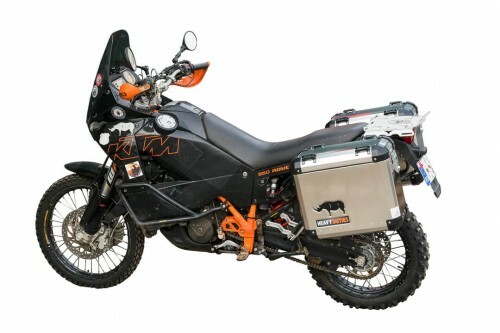 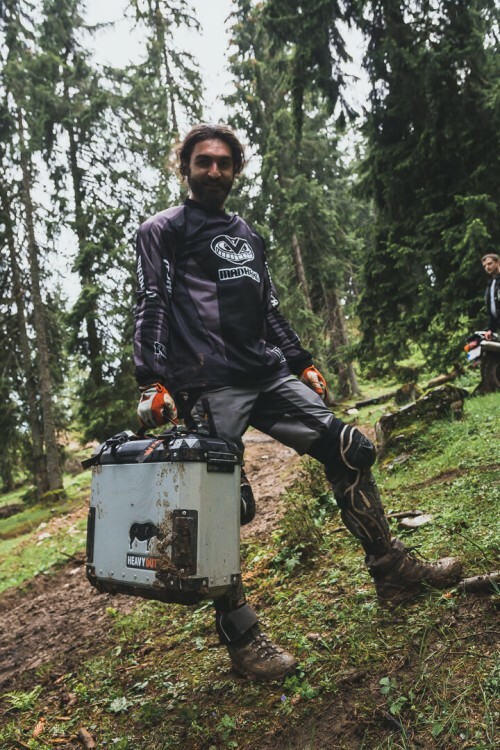 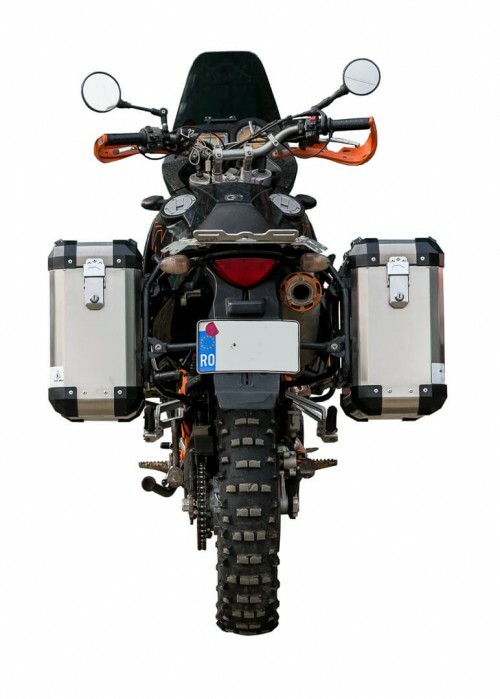 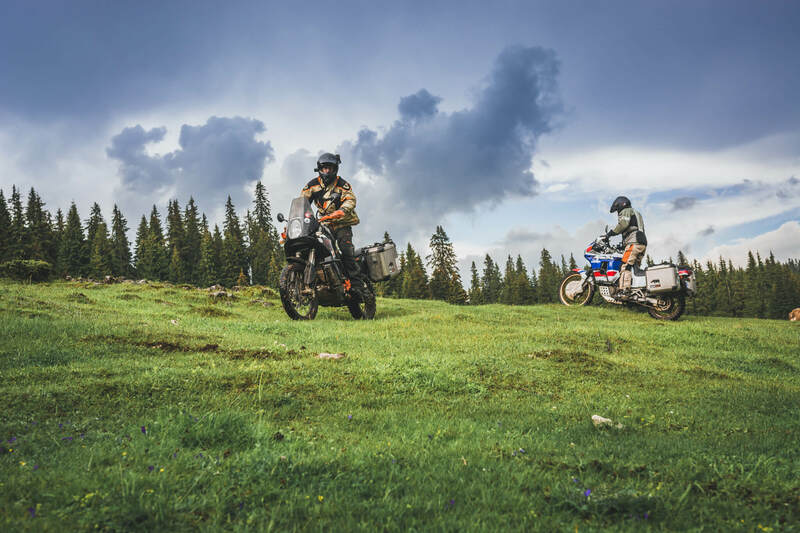 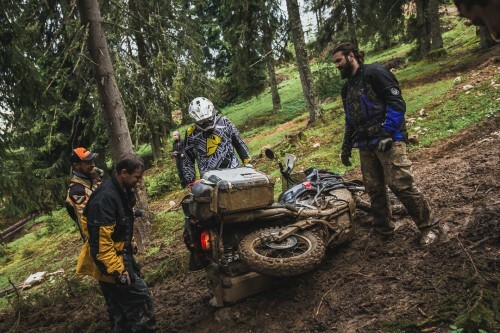 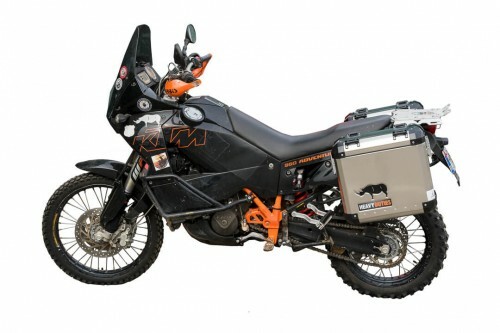 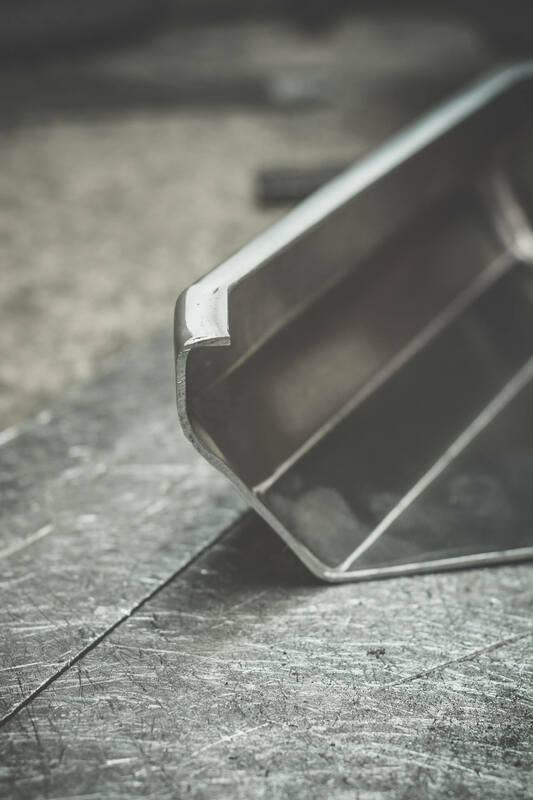 Deep drawing (cold forming) increases the structural resistance of the panniers and their waterproof qualities, while eliminating the need for welded corners. 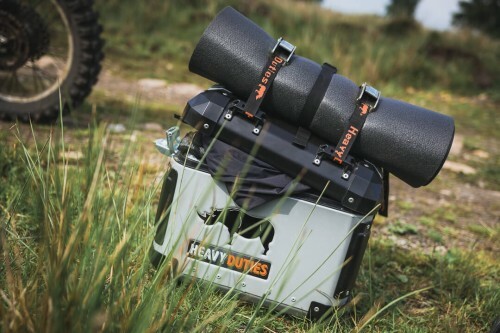 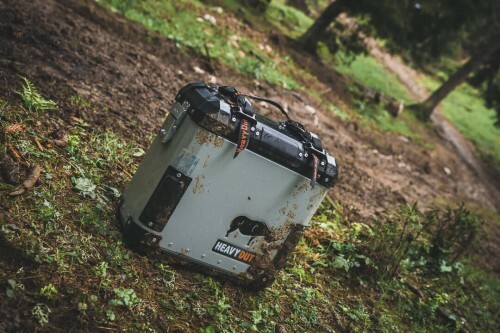 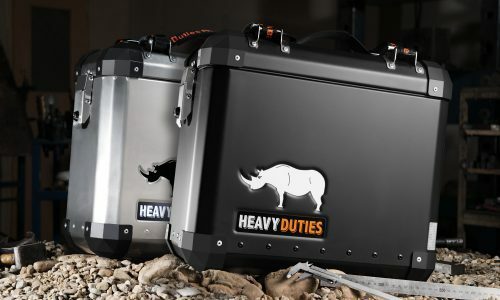 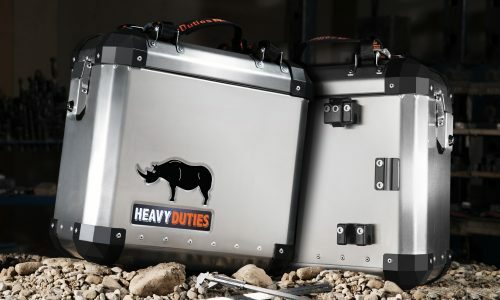 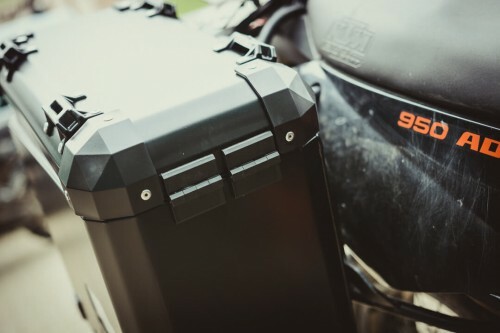 Riveted bottom, sealed with silicone and an exchangeable rubber EPDM gasket securing the lid's inner eversion to body contact surface and providing dust proof and waterproof storage in driving rain and water crossings. 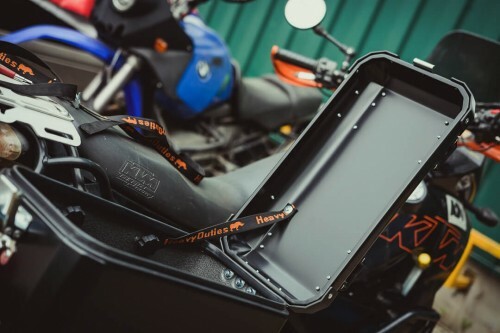 In house, mould injected high density polyethylene, with increased wear resistance, providing abrasion protection for the pannier's corners. 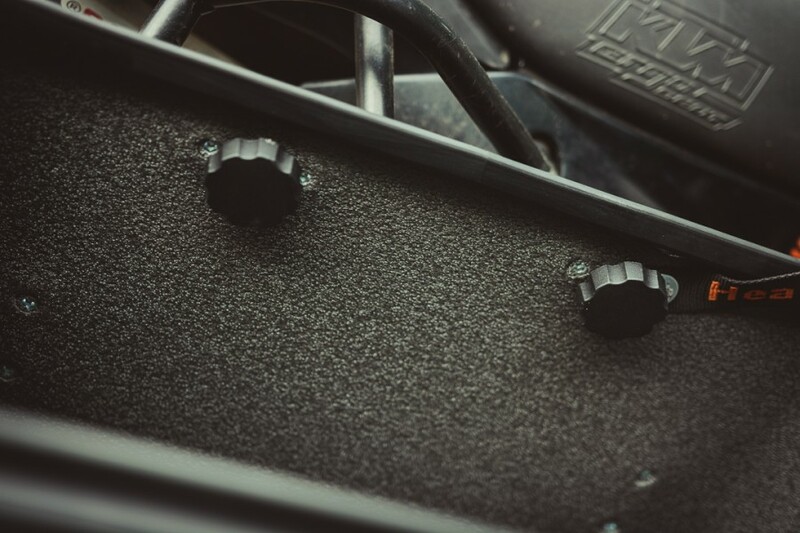 Exchangeable. 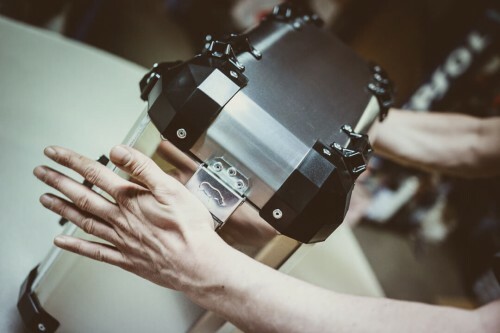 Robot and hand weld with attention to details. 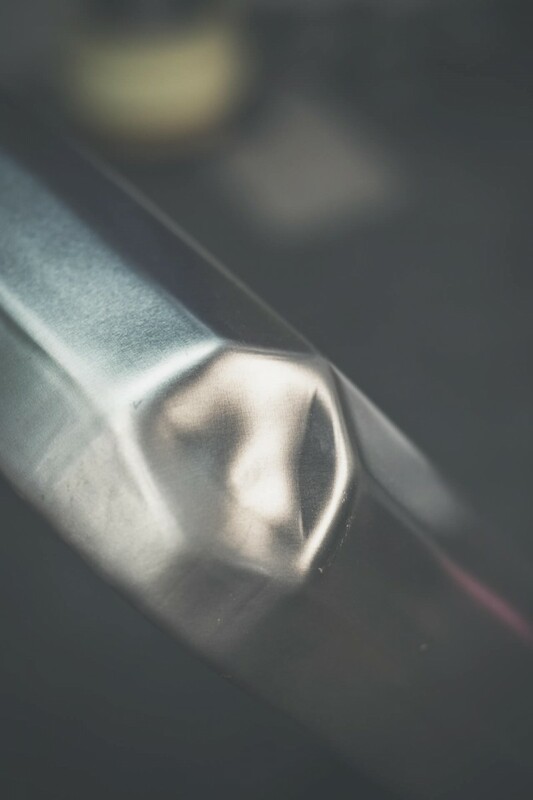 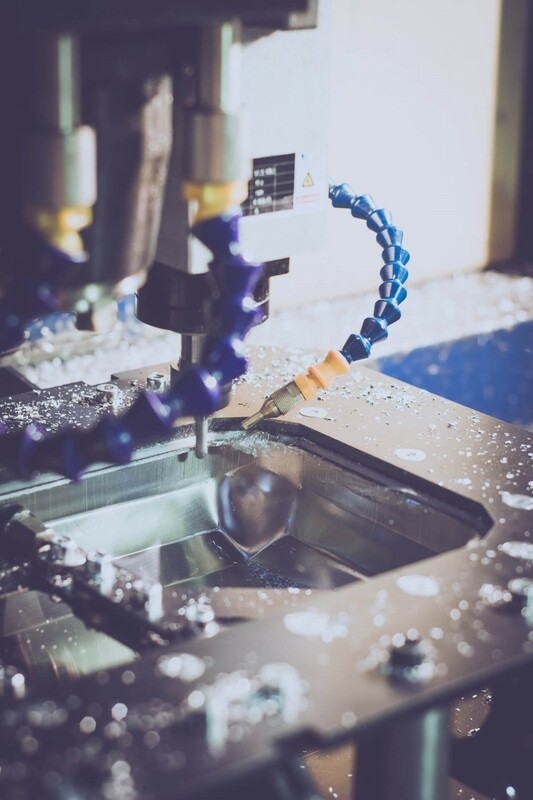 CNC milled for a perfect finish. 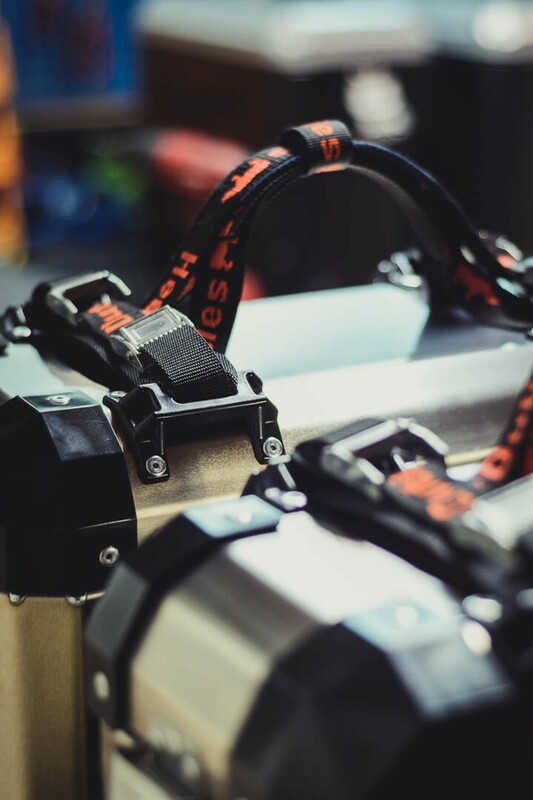 4 plastic straps holders attached to the lid. 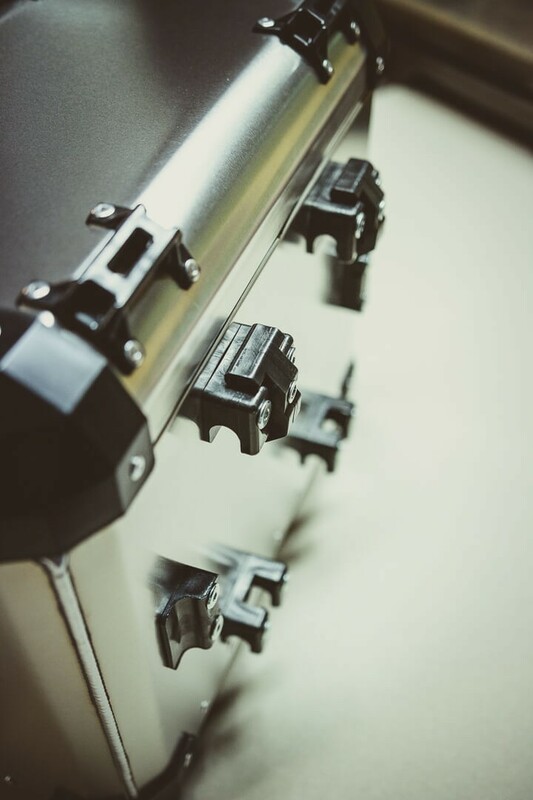 In house, mould injected polyethylene, with increased wear resistance, round edges to avoid abrasion of the strap material, designed for different strap sizes. 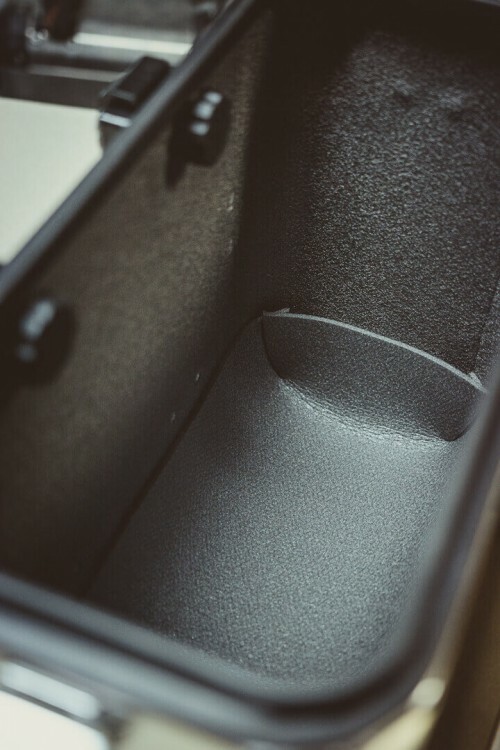 Exchangeable. 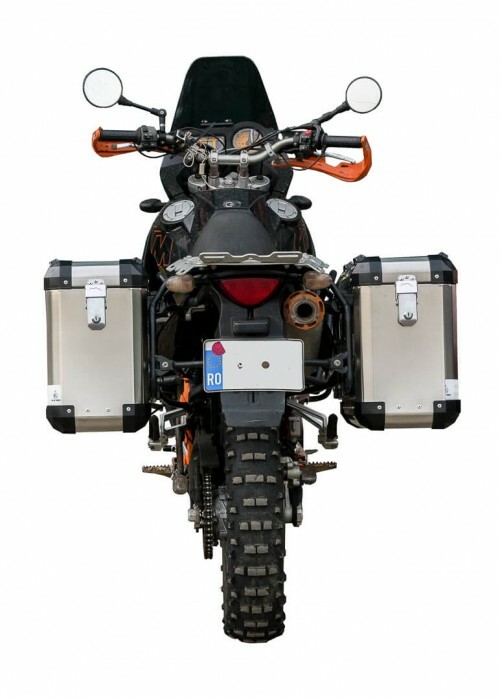 The panniers are securely attached and locked to the steel racks using high strength polyethylene mounting brackets. 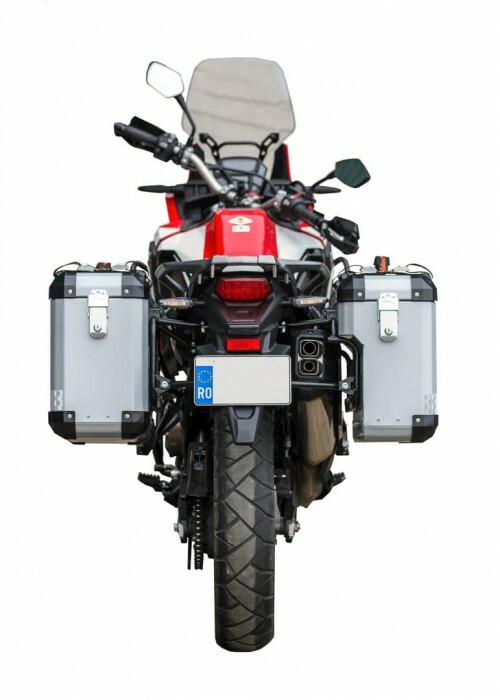 The fixing system is bolted on the panniers using 14 screws and nuts with thread lock. 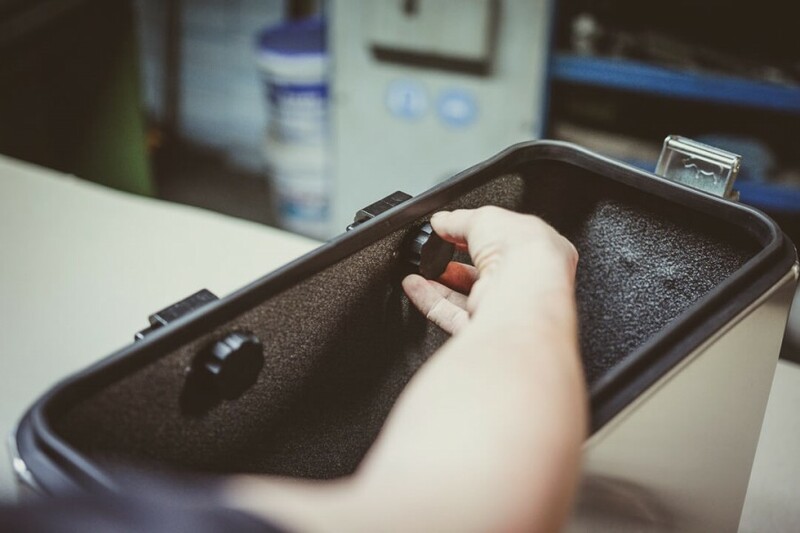 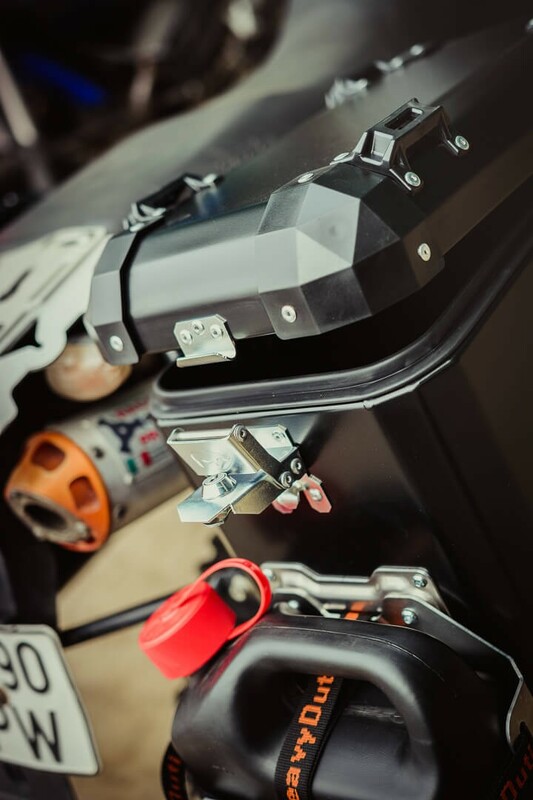 Our innovative design allows release of the pannier from the rack in case of a strong shock in a force impact. 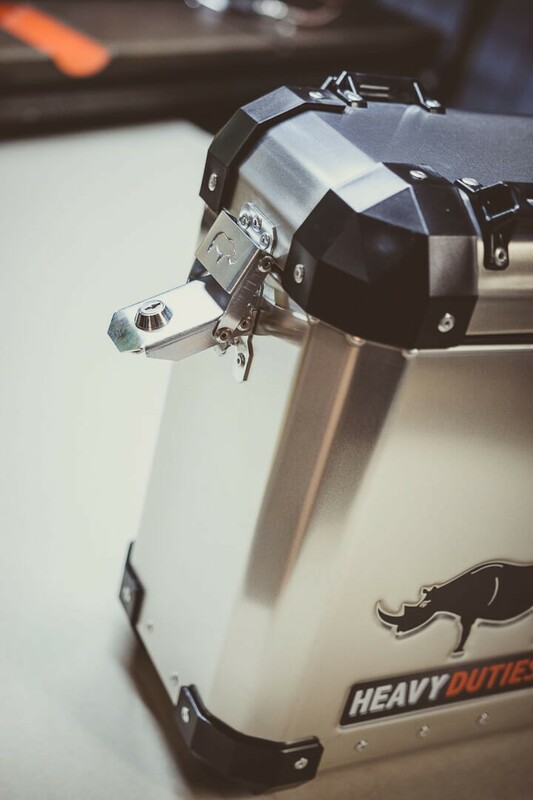 1.5 mm laser cut steel toggle latch with Heavy Duties rhino stamping and one key for both panniers key lock system. 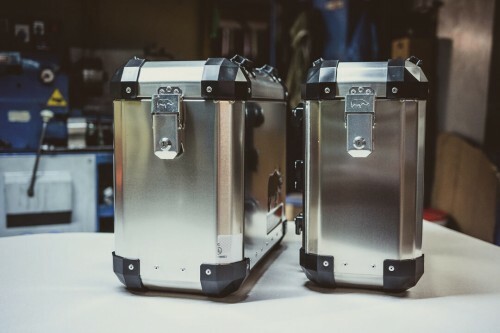 Two latches release for complete lid removal. 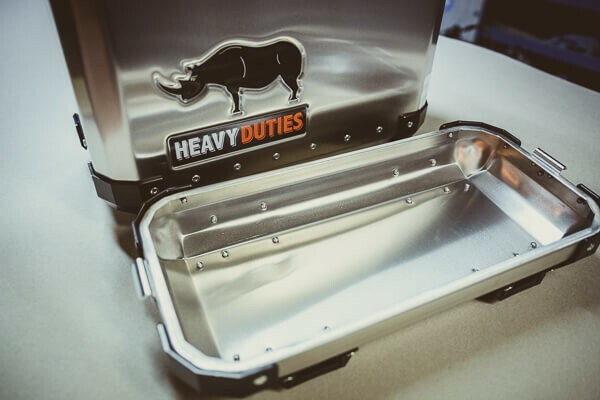 Ensures easy packing or lid use as a utility tray for camping. 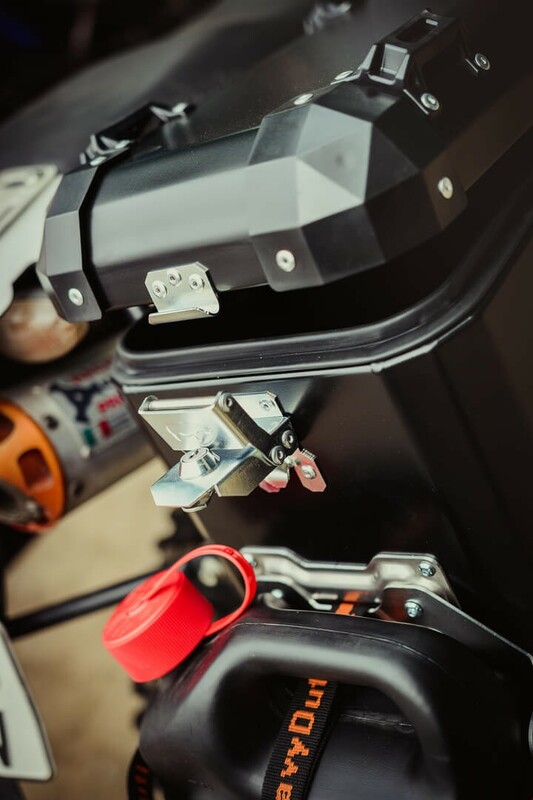 It allows quick access by releasing one side while the other is a hinge. 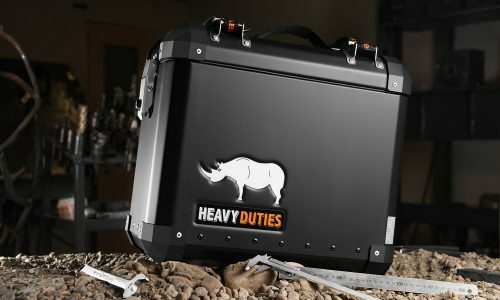 Not recommended to be used with large top case. 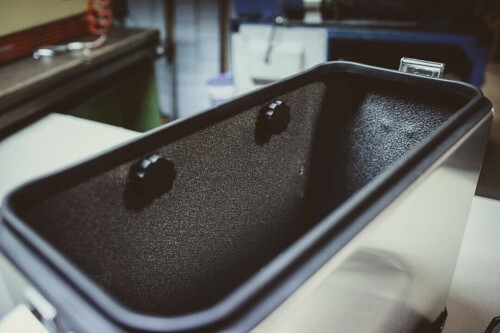 5 mm thick polyethylene foam padding for the pannier interior. 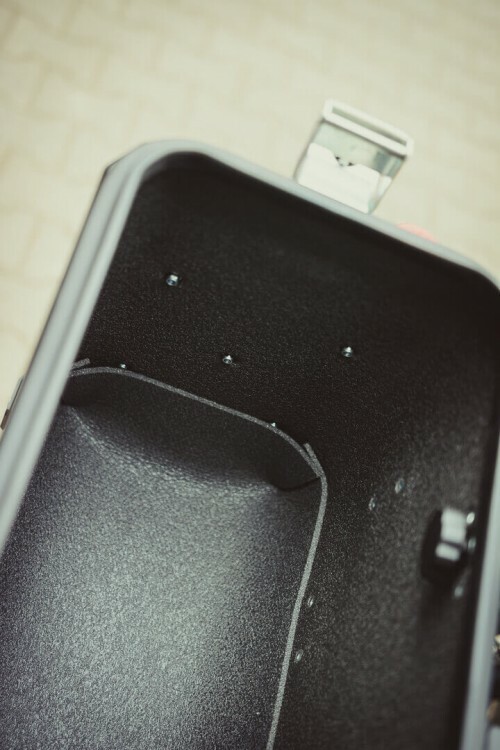 Protects your belongings from rubbing against the walls and touching the metal surface of the pannier. 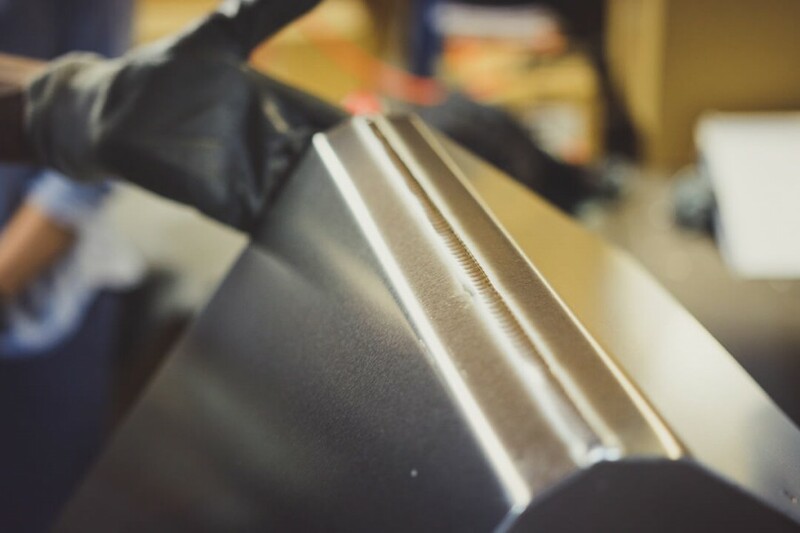 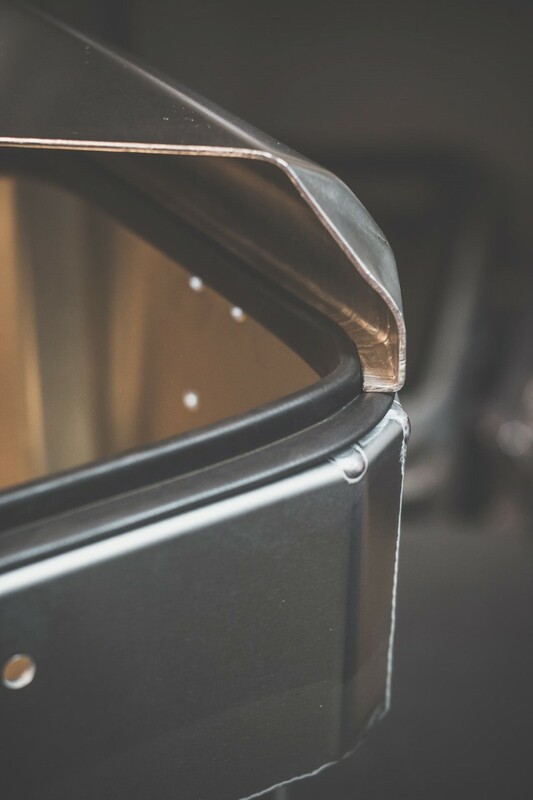 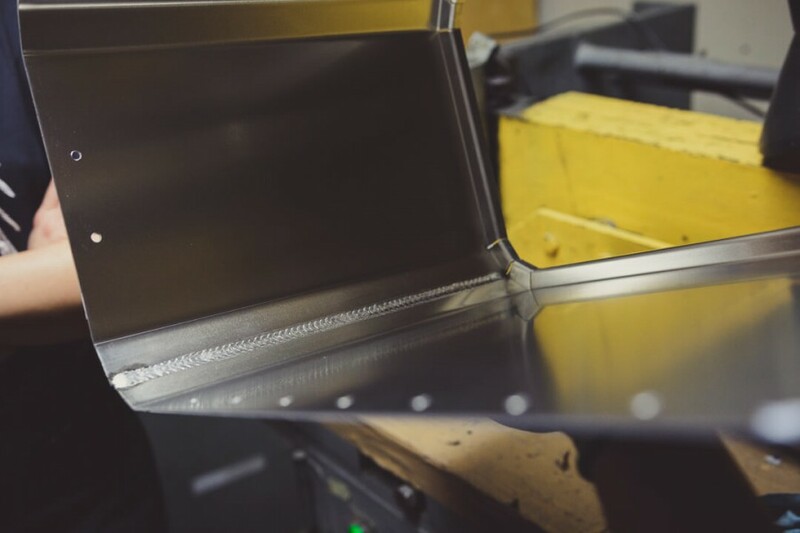 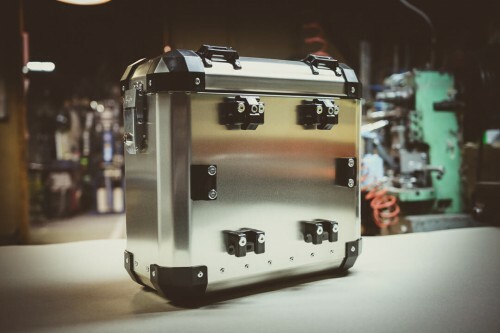 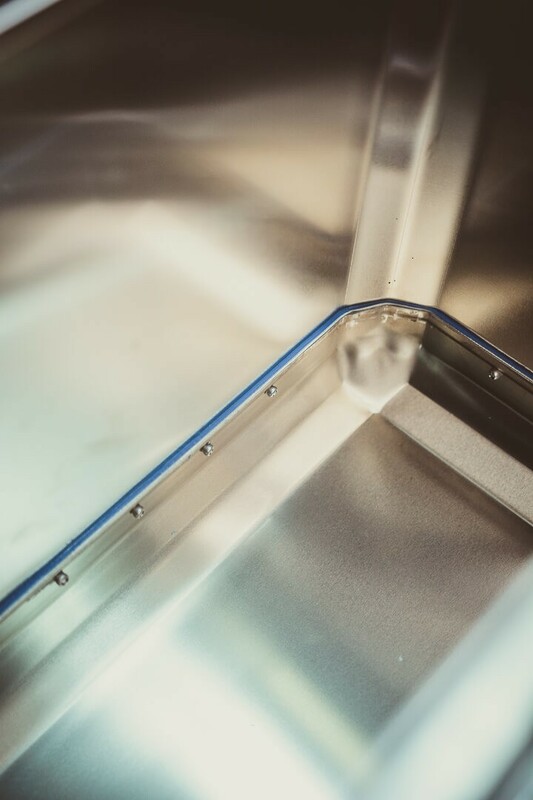 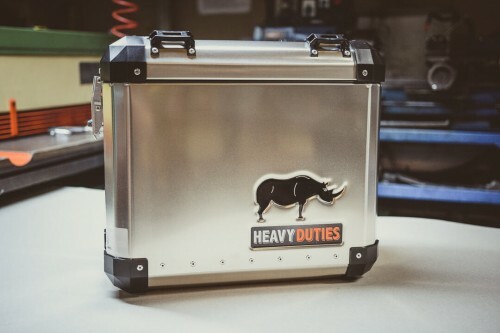 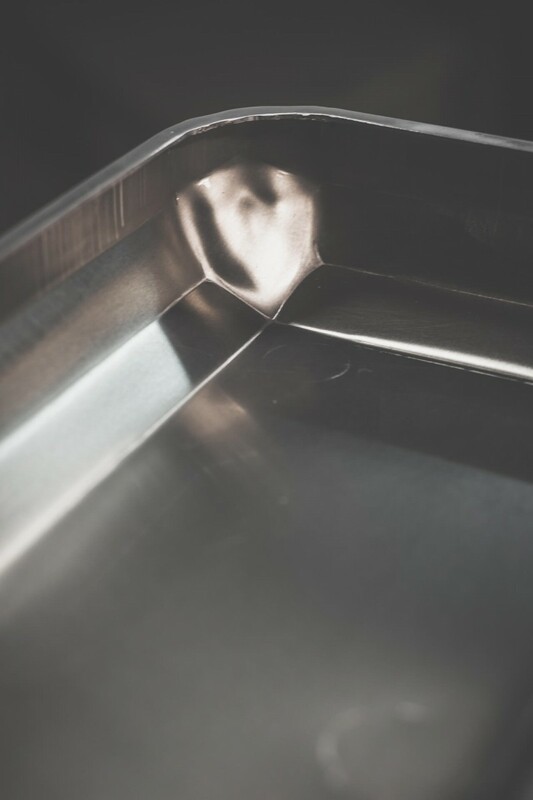 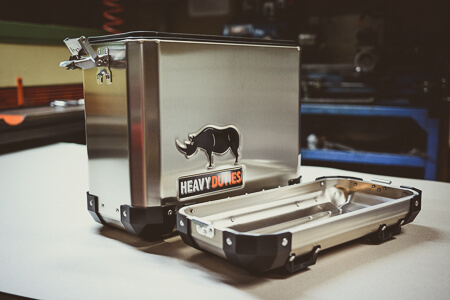 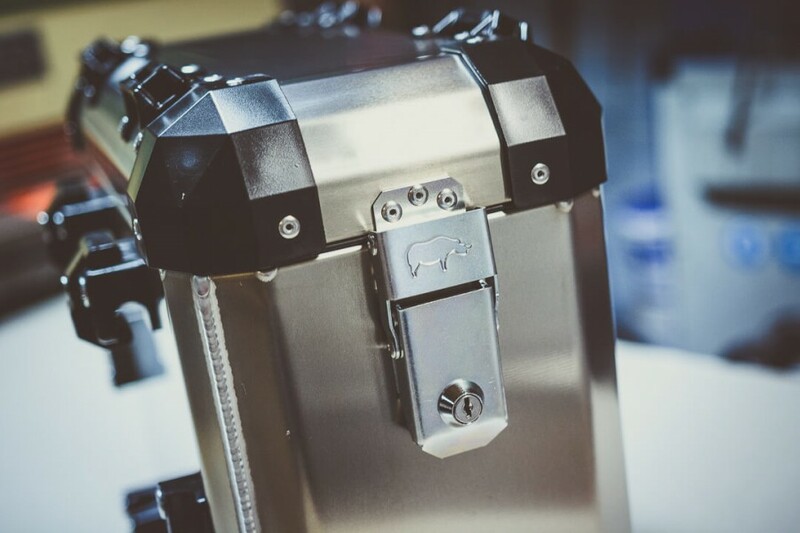 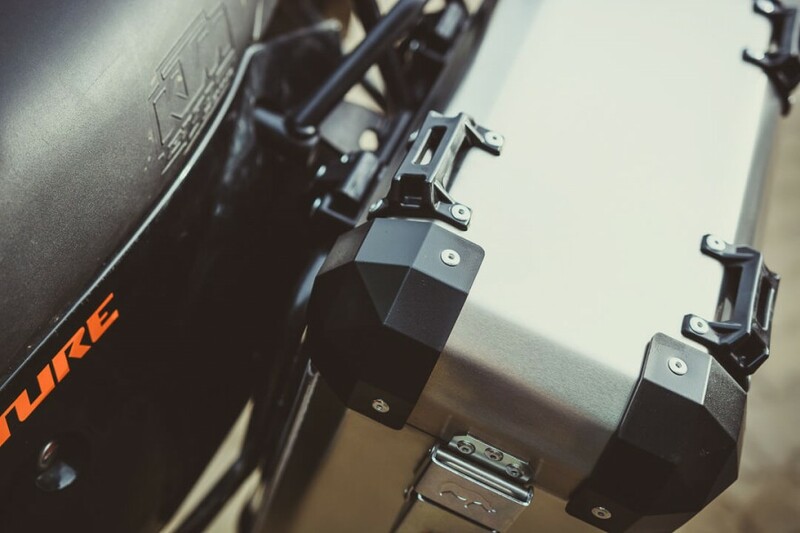 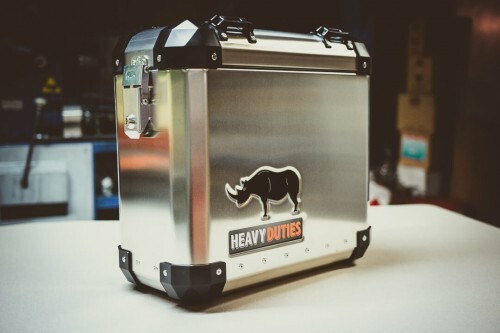 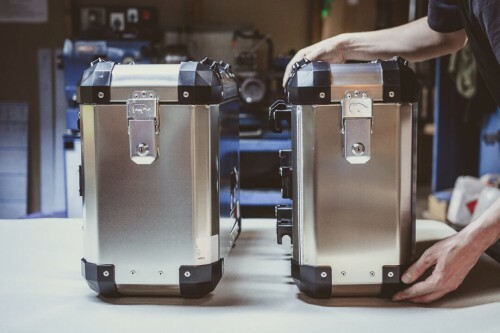 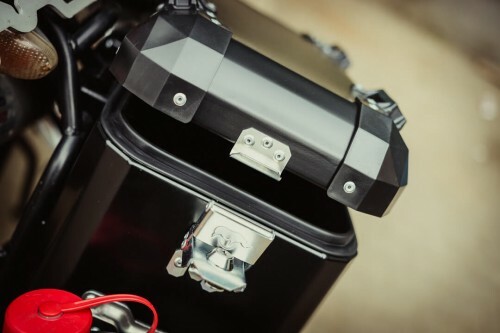 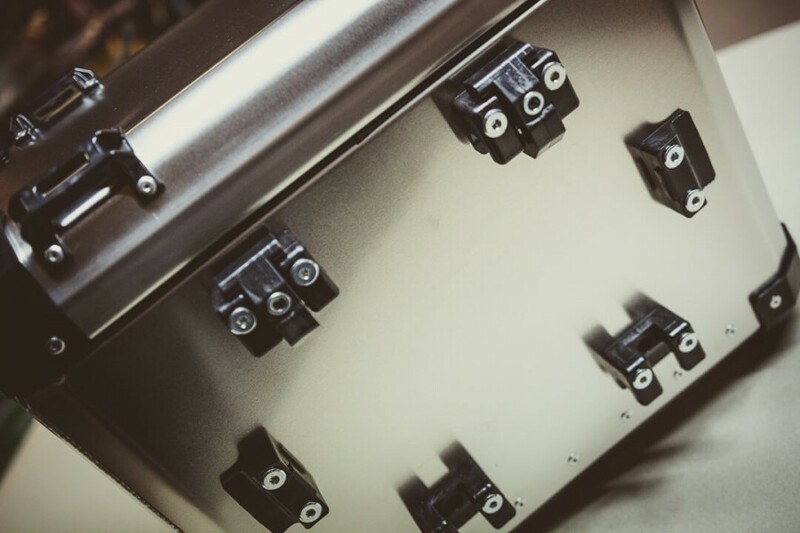 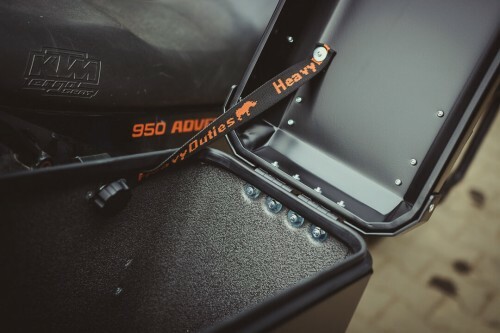 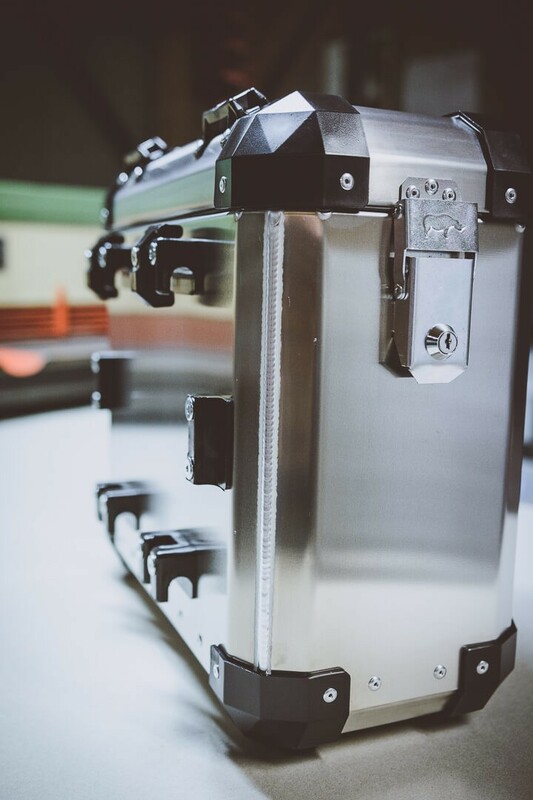 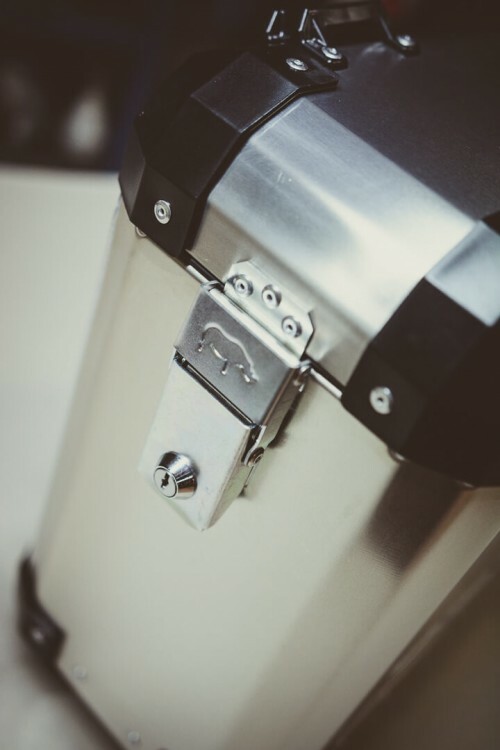 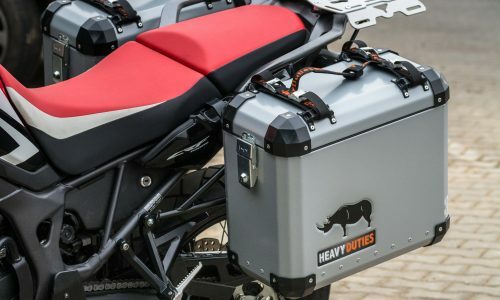 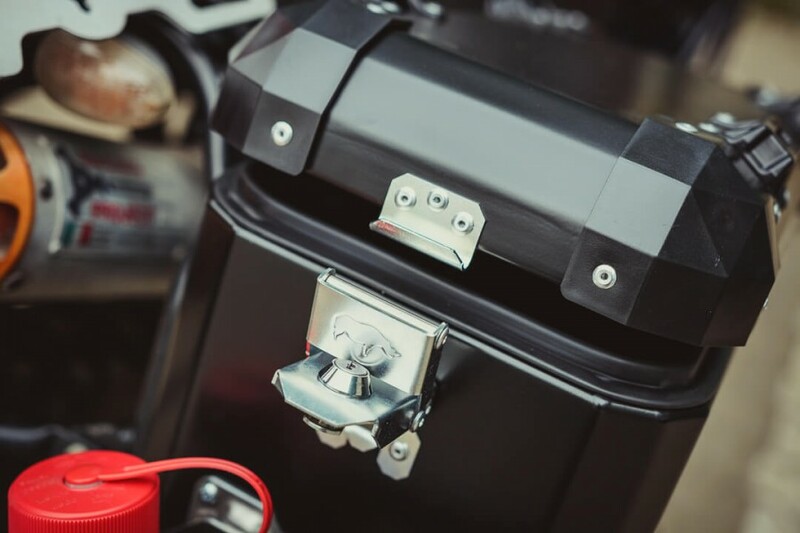 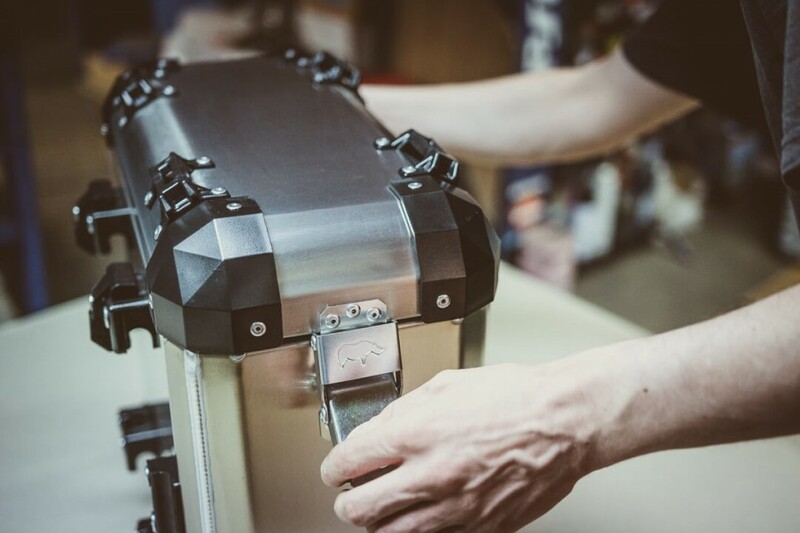 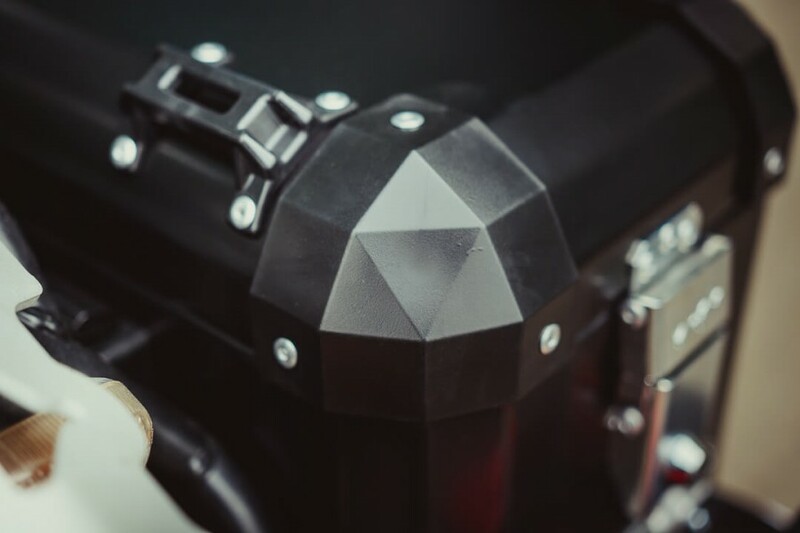 2 mm thick aluminium, deep drawn, electrostatic powder coated, riveted to the panniers body, bottom and lid, ensuring extra protection for the exposed edges. 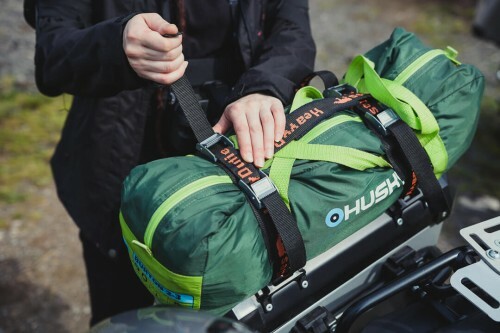 Useful for securing your packsack, tent, sleeping bag or water bottles to the pannier lid for fast access or extra space. 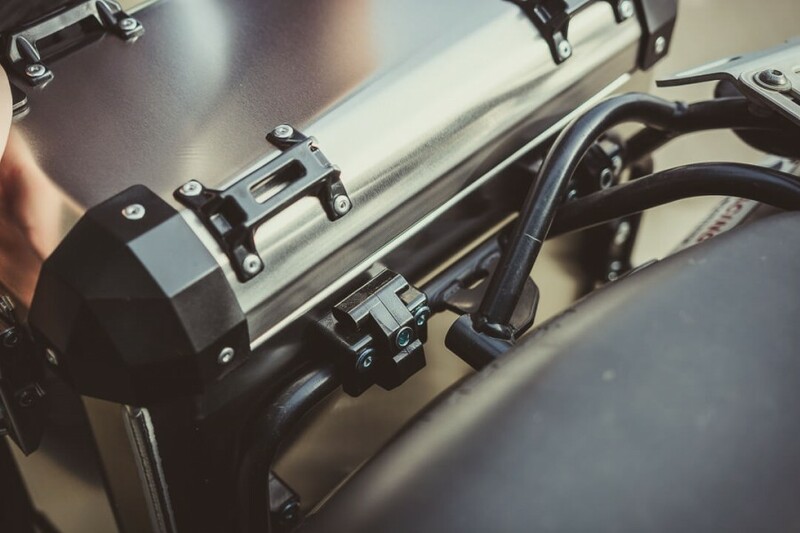 The pannier handle can be used to carry the pannier.